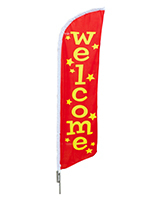 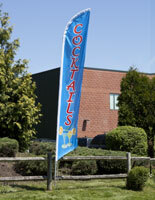 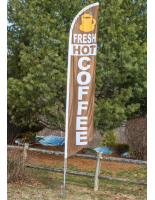 This “ice cream” banner flag is a great way to attract customers to concessions and shops! 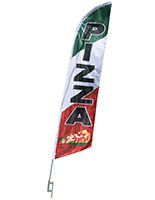 Standing at an incredible 14’ tall, the decorative advertisement is highly visible from various distances. 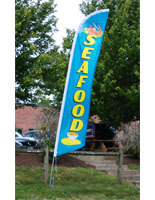 Pre-printed in bold blue text on a red background, each feather flag includes cone decals for a whimsical accent. 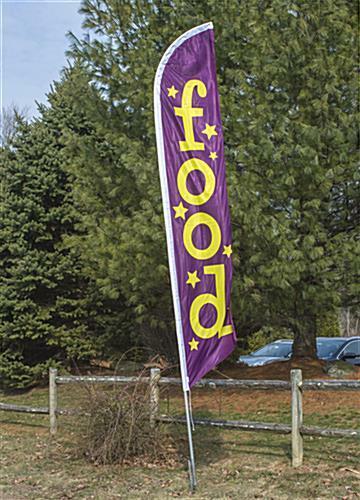 Complete with 4 connecting poles and a ground spike, this decorative sign easily installs into dirt and grass outside of your shop. 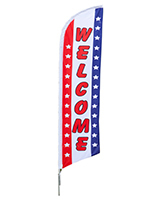 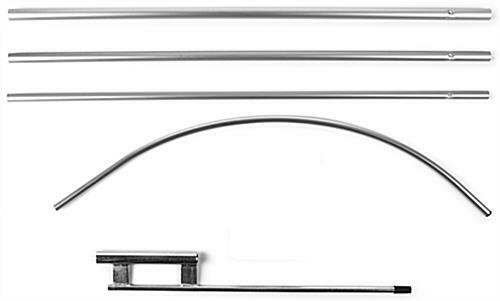 The aluminum rods are arched, which is a great way accentuate and stabilize the traditional feather shape of the flag. 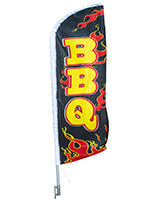 Designed for outdoor use, the polyester knit fabric is best used in fair weather to prevent tearing and other damage.